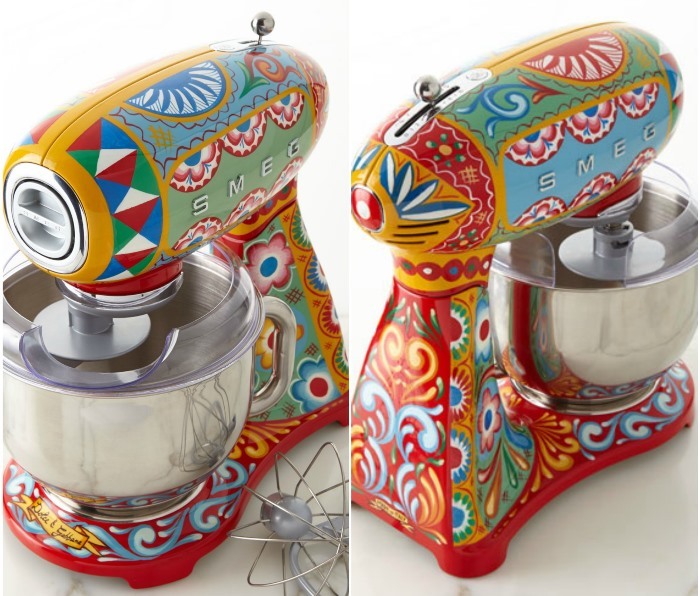 When Smeg & Dolce Gabbana Conspire, Something Wonderful Happens! I always have a running list in my head of things I want to share with you. Today I’m finally sitting down to share them all in one place. They run the gamut in price, some are super affordable while others are pricey but just too good to not share. This morning I purchased a pair of these L.L. Bean Sport Shoes for myself and my daughter-in-love. 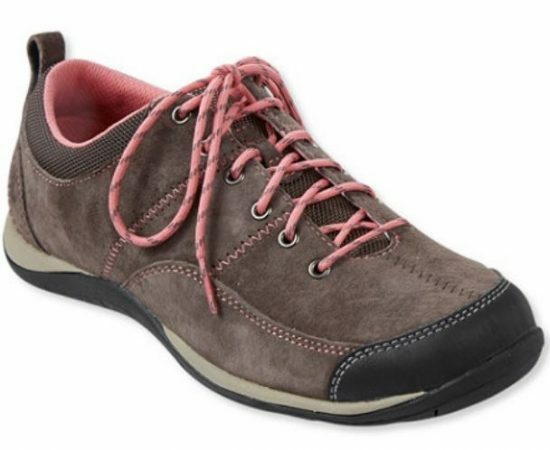 I think they will be great for the hiking trips we go on whenever I visit. I should probably buy another pair to just leave there–and at this price I could! 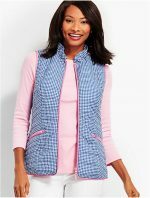 Originally, $69, They are currently on sale for $19.95, available in two colors. This may be a “today sale only” since it’s part of their daily markdown sale. You’ll find them available here: Shoes. Thanks to Susan for telling me about the sale! 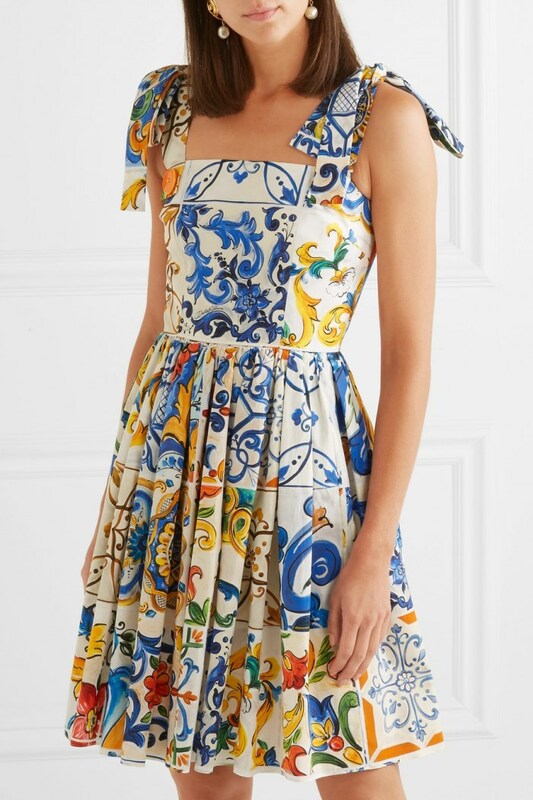 Love a beautiful Dolce and Gabanna dress? Yeah, me too. Look what happens when Dolce & Gabanna and Smeg conspire to design kitchen appliances! Oh. My. Gosh! They’ve created some of the most beautiful toasters, juicers, kettles and mixers. They even made refrigerators in the beautiful D & G designs! And since they’re Smeg, you know they are going to last. I wouldn’t want a whole kitchen of these appliances but would be pretty to have one on the counter. They are outside my budget, but if you’re interested you can see them all here: Dolce & Gabanna Appliances. Unfortunately, the stand mixer has sold out. I would have been tempted to bust the budget and go for the mixer if I had come across it before it was gone. Sooo cute! You can read more about it here: Stand Mixer. I would love to see more collabs like this done with designers—love this idea! Speaking of appliances, if you have stainless steel appliances, you can’t beat this for keeping them clean: Awesome Stainless Steel Appliance Cleaner. It’s my favorite and the reviews speak for themselves! It’s excellent! Recently I purchased a gold bracelet that I wear full-time. Since I want it to stay nice and shiny, I purchased these to keep it that way: Gold Cloths. So far, so good! Very happy with how these are working. Still loving and using my favorite tool for mopping. It’s super efficient and fast and available here: Best Way to Mop. Read more about it in THIS post. I had an issue this past winter with Denim Transfer on my leather car seats. 🙁 The product that did the best job of removing the dark blue stain (other than Magic Eraser which can be hard on leather) was this: Super Cleaner. My seats look great now! Very pleased! I live in sandals during the summer and these are my favorites: Sandals. They have great arch support and are the most comfortable sandals I have ever owned. Plus, they last forever! I finally bought a new pair after wearing the first pair for many, many years. So now I have two pairs and I have no doubt they will both outlast me! Recently, I purchased the men’s version for my son and he LOVES them, too! You’ll find the men’s sandals here: Sandals. Still loving and using this for styling my hair. Tool Perfector. Absolutely love it, couldn’t live without it! The sun is out here today and I’m so enjoying it after all this rain! 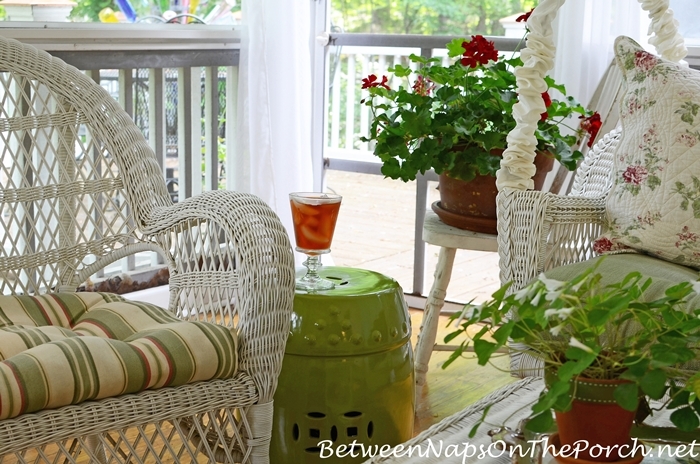 I think I’ll head the porch with a good book and a glass of tea. Gotta enjoy these last days of summer before they are all gone! Happy summer, dear Friends! These appliances are fun to look at, but I’d go nuts if they were in my kitchen. Like living in a bowl of M&M. Not to mention the prize. When I first saw these I burst out laughing then gasped. Like the D&G fragrances though. Yeah, I think one would be really cute, maybe not a whole kitchen, though. Thanks for the note about the shoes from llbean. Shoes ordered. I have been looking for something like that. Susan! You are too much! You come up with the best things. Ive been studying the smeg stand mixers for awhile. I use my slicing attachments on my KA frequently. That’s a stopper in me purchasing a Smeg. The DG Smeg! Love! Thanks for all you do. Greatly appreciated. I’m very thankful for you. Hi Susan- just adore that you refer to your DIL as Daughter-In-Love! You must be the Best MIL on Earth! Grieving the loss of my Daughter-In-Love last year, when my son and she divorced. I miss her so! Such a precious young woman, but it’s not the same relationship after that. No grandchildren either. 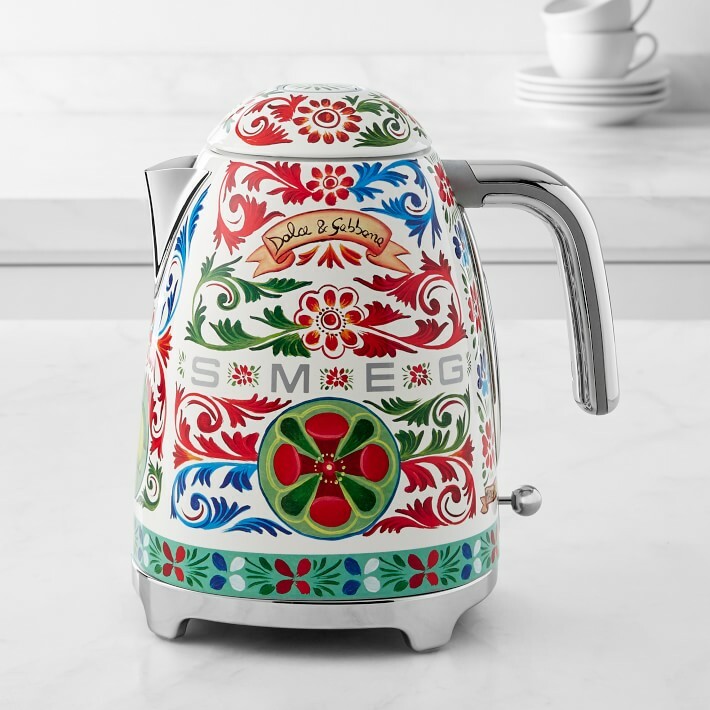 Maybe I need that cheerful SMEG D&G kettle! I totally agree with Kem, a mixer like the ones shone would drive me nuts too!! I think I will stick with my Kitchen Aide. These shoes are so tempting. Compared with your usual fit, and how these are, do you think they would work for wide? Or are they snug widthwise? I find they run pretty dead on, fit wise. I don’t think they come in half sizes. I wear a 7 and the 7 fits me great, but I can see how someone who wore a 7-1/2 could wear the same shoe because of how they designed. My feet are pretty wide, sometimes a B width shoe feels a bit snug, but these are fine on my feet. Since they are a prime item, if you buy a pair, you can return them for free. I love them, I even took them when I went to Kenya. They are great for travel and walking for hours. They are also great for days when you standing on your feet cooking all day. Whenever I have a party or it’s a holiday and I’m standing all day in the kitchen, I make sure to wear these because my feet don’t hurt at the end of the day and I’m near as exhausted. Maybe it’s because they have such good arch support. If you get a pair, let me know what you think. I may wear “pretty” sandals if I go out to dinner, but these are my workhorse sandals that wear every day around the house because they offer so much support. I can’t believe you didn’t order a refrigerator for you and your DIL. LOL ! 50,000$ for a fridge???? OMG. I literally laughted out loud. Pretty, but holy cow! Hey, if you want a designer refrigerator, ya gotta pay the price! 🙂 I wonder how many of them they are making, I bet a very limited number. You could probably go in a gazillion homes and never see another one. JK, Susan! Actually D&G are my favorite designers because they’re very religious and they carry on all the Italian traditions and despite their wealth and fame they kept their down-to-earth attitude. I know that they always make time for their fans and they give hugs and kisses to everyone! (Italians love to hug and kiss! lol) Isn’t that cute? Wow!!! Dolce and Gabana is a genius outfit! I’m wondering if that coffeemaker would go in my turquoise accented kitchen? I was shocked by the sticker prices. A $3000 summer dress? A $50,000 fridge? $20 shoes are more my pace. I love seeing what treasures you find. And dreaming of when my four kids are on their own and my home can stay looking as pristine as yours. Thanks for the fun ideas and suggestions. But really fun to see the frog’s and small appliances, too. Thanks for the share! Love your “favorites” posts! Ordered the Bean shoes. Plan to get some of the cleaners, too. Thank you, Susan! Susan, the D and G appliances are so pretty….and eye catching. Budget-wise…a buster though! BUT, I did see where Kitchen Aide mixers now can come with a patterned bowl! Paired with all the colors the stand comes in, that could be a nice addition to a countertop! That is one small appliance I would use more IF it was out and easy to get to. I love having color around, in this world off all white and greys (and I have plenty of that too!) but still crave color!!! Ha, ha….I had to go…look—-and the juicer was $650.00. 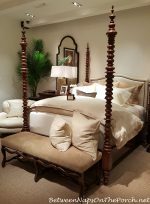 Okay—might bee a great thing to knock off…IKEA are you listening…grins, fun post! Thank you Susan. I am going to try the stainless cleaner. We just purchased all new appliances last month. Even though the I love color, I will stick to my Onyx kitchen aid. Your timing is impeccable. I just got a bracelet back after a needed repair from the jeweler’s which is a Fred stainless and 18k piece and next to the gold link bracelet I always wear it made the link bracelet look terrible. Dingy and dull. Luckily, Amazon México had the gold cloths and they’re on their way to me. Thank you! O.k. I guess I must be boring and dull. I love my white Kitchen Aid. It always goes with everything and looks clean. Love it. $650.00 for a toaster?! Maybe I can design my own.